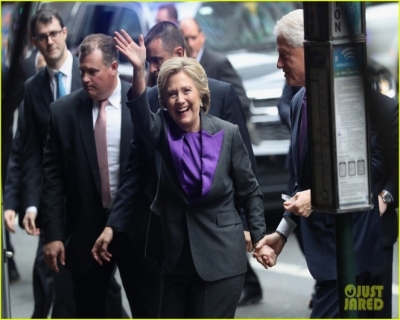 As Hillary Clinton gave her concession speech before supporters in New York City, hashtags #ImStillWithHer and #NotMyPresident trended on Twitter. The speech was widely hailed as gracious and inspiring. This time, the dream of electing the first female American President in 240 years was so close. Hillary won the popular vote but lost the election. In defeat too she stood strong and inspiring. What did Hillary Clinton highlight in her concession speech? 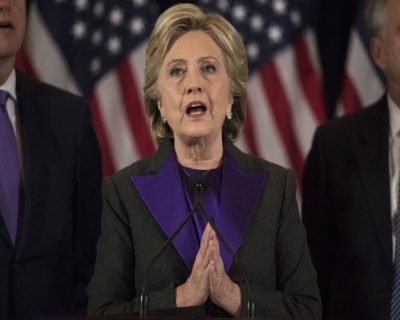 Can one respond with honesty, dignity, empathy and motivate those who share the sorrow and everyone else Hillary, through her concession speech proved it possible. Honesty. She was candid about the pain she felt and that the tremendous efforts put by everyone who had been part of the campaign did not achieve the desired outcome. Empathy. She reached out to all her supporters – family, team members, Barack and Michelle Obama, campaigners, donors – and connected with them. She stayed back for at least an hour to meet and thank the supporters who had assembled to hear her last speech of the campaign. Dignity. She was true to her word in acknowledging the election’s outcome. She chose to focus on what could be learnt from this outcome - We have seen that our nation is more deeply divided than we thought – and stressed on the constitutional principles of peaceful power transition and equality and dignity to one and all – as principles that should be cherished and fought for. Inspiration. She called upon women – especially young women – and girls to believe in themselves, and dare to dream without limits. She also called upon people – young people in particular – to not let setbacks deter them from fighting for their convictions. Why is her speech being celebrated? She addressed the glass ceiling distance head on – Now, I know we have still not shattered that highest and hardest glass ceiling, but someday someone will — and hopefully sooner than we might think right now. This was echoed in several hopeful and determined responses. It genuinely struck a chord. Some like author J.K. Rowling said it brought them to tears while others hailed her for her poise. The tweet by Anushka Sarkar exemplified both of the above points - Tear-streaked and heartbroken today, fired up and ready to go tomorrow. Thank you, @HillaryClinton for lighting a fire in us. 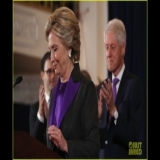 For those – and there seem to be a significant number of them – who dreaded Trump’s Presidency, Hillary’s acceptance of defeat meant a future of fear and uncertainty. To such people she repeatedly emphasized that the need of the hour was to continue to persevere and keep hope. Whether or not she remains as politically active as she was, her speech put in words what she had always shown through action by always fighting for what she believed in. And the enthusiasm in echoing her message was contagious. It does seem surprising that not once has a woman been elected President of the United States. The contrast with other countries is even more glaring when we observe that not only have women headed countries like England, Ireland, and New Zealand but even India, Bangladesh, Pakistan, Turkey and Sri Lanka have had women leaders. Note: Hours after Clinton called Trump to concede, news emerged that she clung to a narrow lead in the popular vote, 47.7%-47.5%. In the US election system, it is not the overall votes, but state-wise splits that determine the overall winner. Since when have women and men in America cherished the dream of a female President? 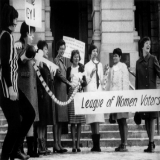 Women’s rights movement became a fighting force in 1848 for increased female participation in politics. 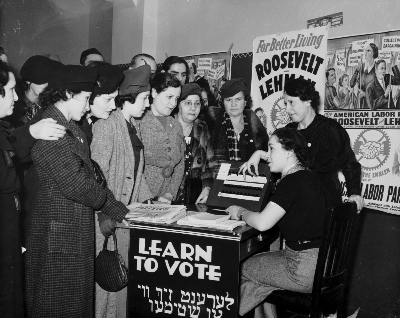 It took seventy-three years of unflinching and relentless struggle in the form of advocacy and activism for women to earn the right to vote. Racial divides among women and lack of solidarity across boundaries meant a decline in the pace of fighting for women’s causes. The culture created by World War II set the stage for the next surge of activism. 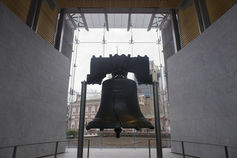 The 1980s witnessed a few firsts – Sandra Day O’Connor was the first woman to be nominated to Supreme Court, Representative Geraldine Ferraro was the first candidate nominated to run for vice president. Though progressive change fluctuated, the progress was there for all to see. It was real enough for people to hold enthusiastic discussions on the possibility of a woman President – a possibility that was inconceivable in 1900. The dream of female Presidency, now seen as one of the highest aspirations of the feminist movement is yet to materialize. 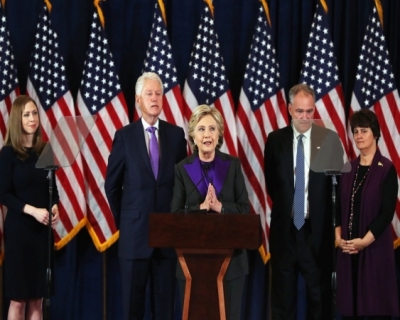 Hillary fought hard to achieve this dream and in her concession speech highlighted the importance of continuing the fight - And to all the little girls who are watching this, never doubt that you are valuable and powerful and deserving of every chance and opportunity in the world to pursue and achieve your own dreams. 53 percent of white women are said to have voted for Trump, but this doesn’t stop women from worrying – and with good reason – about the consequences of a Trump presidency. Where are some of the reasons for the absence of a female President? Media bias. While this is definitely a problem, it does not seem to be a root cause. Rather than focus on their competence, media chooses to adhere to stereotyping and this might reinforce the impression that women do not belong in the highest echelons of politics. However, media holds a mirror to traditions and political culture which need to be examined to uncover the root causes. Historian Kathryn Sklar says the “masculine mystique” adopted by Presidents and endorsed by media presents the President of the United States (POTUS) as a commander-in-chief rather than custodians of citizens’ economic security, health, and education. This leads to a perception of Presidents in exclusively military terms. US history has innumerable examples to show that men are nurtured as protectors and women as caregivers. 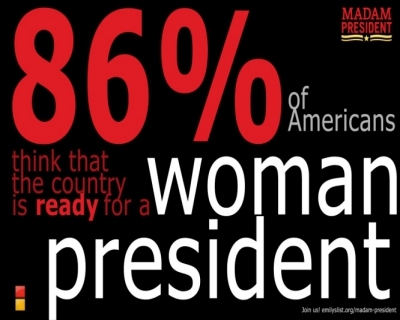 With such a background, Americans find it hard to visualize a woman President. Despite progress, the gender gap is prevalent in various levels of leadership – a 2014 report revealed that women comprised only one-fifth of US Senators, 24.2 percent of state legislature seats, 18.5 percent of congressional seats, and that the United States has only one-tenth of its governors as women. These are the early posts held by most Presidents. The US ranked 97th in worldwide ranking of women in government – Rwanda, Ecuador, Burundi, Zimbabwe and Tunisia along with Switzerland, Sweden, Iceland, Norway, and Germany were among those who did better. This despite being a leading advocate of women’s rights internationally. Who said what on her speech? Several responses were positive, others not so much. Alex Munter, CEO of Children’s Hospital of Eastern Ontario said, “Reflecting on a First Lady's 1995 visit to @CHEOhospital. #ThankYouHillary for your lifelong commitment to kids and families. #trailblazer”. Remarks from Stephen Hayes and Ben Shapiro that hailed Hillary for the rare “humanness” she had shown met with strong backlash for being sexist. People who were strongly opposed to Hillary reflected the same; nothing she said made any difference to them. Amy Richards said Hillary would continue to influence women – "We have to remember that while the US system has elected Donald Trump to the presidency, the majority of the American public is with Hillary Clinton. 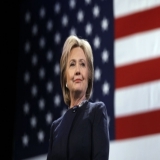 She has inspired America and in particular American women and that remains unchanged." How does the Hillary Clinton campaign offer hope? Evan rival Trump respected Hillary’s fighting spirit and “don’t quit” attitude. These are qualities that anyone aspiring for success need to emulate. Saying that she at least earned the Presidential nomination is condescending and humiliating at best. The winner takes it all in American Presidential elections. But in this case, the runner-up also took something with her as she walked away from the stage. Respect.